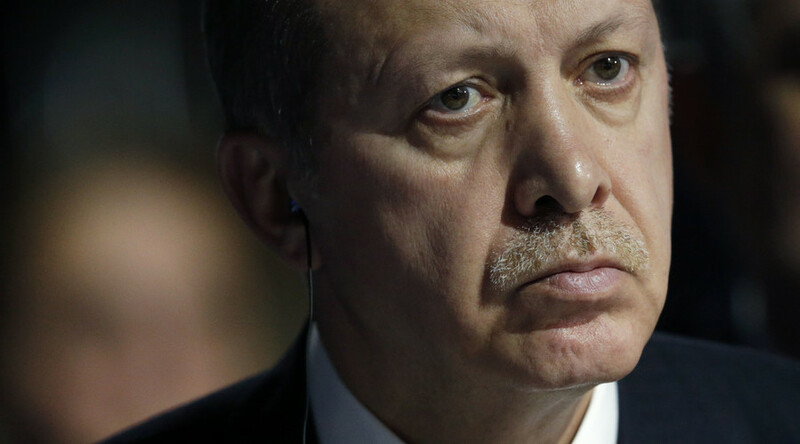 Is Erdogan playing terror to garner political support within and without? 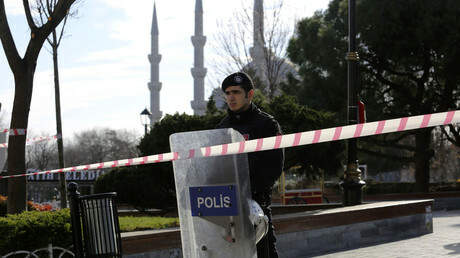 Istanbul was rocked Tuesday when a bomb attack disrupted an otherwise perfect winter day. Targeted at the very epicenter of its cultural and touristic life, Turkey, it appears is suddenly awakening to the reality of terrorism. Another day - another terror attack on Western soil. Well, not exactly Western, but close enough for mainstream media to actually raise their arms in the air, or pen ... and deplore the security modern states have had to put up with courtesy of Islamic militants. On people’s lips the same question: will Turkey be the next domino to fall to Islamic State (IS, formerly ISIS)? Of course ISIS is the world’s favorite boogeyman. Long before any official statement was ever formulated, long before Turkey security services had even the opportunity to assess and construct a theory around preliminary findings; most of us already tacitly assumed that the Black Flag army had to be responsible. Why? Simply because we have been conditioned to associate terror with ISIS, and beyond that - Muslims, Arabs and the Middle East altogether. 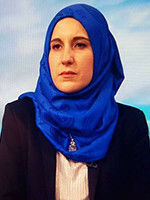 But if we agree that narratives can be engineered to fit and serve certain agendas - after all the entirety of America’s military interventionism in the Middle East has been dressed up as a long, drawn-out humanitarian campaign, or democratic liberation, depending on the year and administration, to serve a capitalistic elite’s interests; would it not be rational to imagine that powers within Turkey could play a false-flag of their own? I’m not saying that they did, only that they could have, only that we ought to at least fathom the possibility. Rather than look at the January 12 events by sticking our nose to the TV screen, let us step back a little to look at the global narrative and rhetoric. Who is to gain from such an attack - not immediately but ultimately? 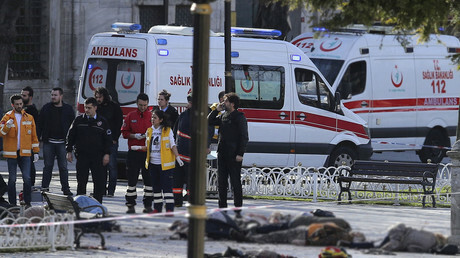 “Today’s bombing in a historic Istanbul square frequented by tourists was the indirect result of Turkey’s wildly adventurist policy toward the Syrian conflict,” wrote Stephen Kinzer for the Boston Globe. If such an analysis of course mirror the general consensus that is not to say that it reflects reality. I would like to think the public has suffered enough false flags and political manipulations over the years to retain its right to critical thinking … let’s not be complacent here just because the shoe appears to fit. While I personally find ISIS revoltingly despicable, I refuse to give it more ground than it has already claimed in the fear and disgust we carry for its ideology. ISIS is not the only kid on the block whose mercenaries know their way around an explosive device. What if Islamic State was a scapegoat? What if it was set up as to disprove claims that Ankara has been an accomplice and a partner of Wahhabi-inspired terrorism? We cannot deny that Erdogan has faced avalanche of allegations of late, all asserting the role he played in cultivating ISIS as a new weapon of mass destabilization. I’m asking a lot of questions here I know … but then again it is when we stop challenging those truths officials serve us that we will truly lose all power over our collective future. Let’s look at facts for a second: Turkey’s first reaction to the Istanbul bombing was to shut down foreign media, arguing national security. Here is that word again, national security - conveniently timely I would say. Amid growing internal tensions and international criticism over Turkey’s handling of its Kurdish dossier, President Recep Erdogan finds a way to completely cut off his country from the rest of the world. If that’s not impeccable symmetry, I don’t know what is. 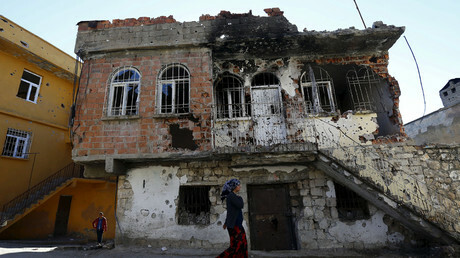 There is another layer to this attack which simply does not sit right with me - at this stage anyway, and that is how very much an attack on Turkish soil serves Ankara’s regime’s immediate geopolitical interests. What Erdogan is really saying is that Tehran and Russia are challenging his hegemonic ambitions in the region: i.e. the annexation of Syria, and then gradually the region. Whether or not the Istanbul terror attack was actually carried out by ISIS, and whether or not Turkey’s elite had a hand in it, it appears clear Erdogan will absorb world sympathies to frame a new anti-Iranian, anti-Russian rhetoric; arguing that counter-terrorism needs to be defined by and confined to “Western” standards. Apparently Russia and Iran are flaring up sectarian tensions … funny since they aren’t the one waving sectarian adjectives around or chopping people’s heads on account of their religious denominations. Will Turkey be worse for wear as a result of the Istanbul attack? Absolutely … but then again it is only the people who will ever really feel the pinch, while the oligarchy will unlikely blink at the loss the tourism industry will suffer. As for European states’ decisions to issue a travel alert on Turkey - read not genuine concern, but rather the demonization of the Middle East, this cesspit for all things violent and uncivilized. We often view our officials’ policies through the assumption that their decisions and “political visions” are framed within national interests ...this is a fantasy. Powers such as Turkey only serve the interests of the powerful. And if it is still much too early to quantify and qualify Istanbul’s terror tragedy, it will most certainly be exploited by the authorities - especially now that they have claimed ownership of the truths they will deliver their audience.